McCalls Dam State Park is in the extreme east end of Centre County. 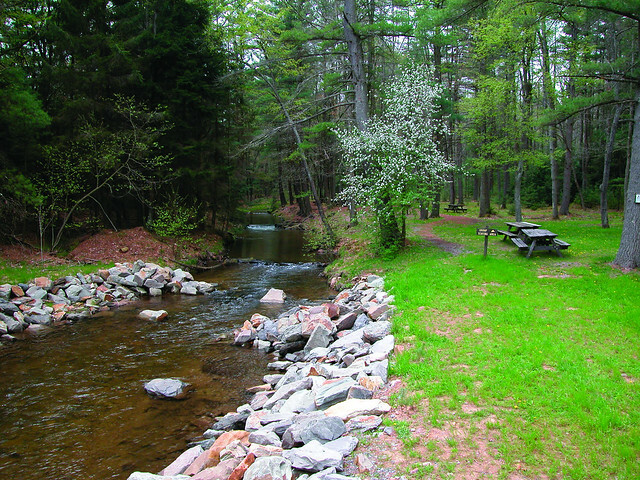 It can be reached by traveling McCalls Dam state forest road, which links PA 192 at Raymond B. Winter State Park and PA 880 at Eastville. McCalls Dam State Park participates in a carry-in/carry-out trash disposal program for small parks. There are no trash collection or recycling facilities.